Not really. In fact, it’s quite likely that a series of progressively debilitating strokes brought on by hypertension caused by his excessive weight (this last being a problem with him for over a decade; he couldn’t take an active part in military campaigns because he was too fat to climb onto a horse) and over-rich, over-salty diet is what laid him low. Furthermore, strokes, heart disease and hypertension are all intimately linked. Whatever Edward died of, he left his youngest brother with a headache second to none. Edward was the cause of everything that befell Richard, and could not have done better had he actually signed a death warrant. I have little time for Edward IV, Yorkist king or not. He had every intention of leaving the throne to his baseborn son, when all the time he knew Richard of Gloucester was his rightful heir. So bah! to Edward, no matter what carried him off! I sometimes think that if Edmund of Rutland had not died so young at Wakefield, Edward IV would have eventually been responsible for HIS demise as well. Disposing of brothers was clearly his speciality. As to why he breathed his last, apparently so unexpectedly, well perhaps his heart just stopped beating. If he’d been suffering from some short, very sharp illness, perhaps it was the final straw for a heart that had been under strain for so long because of Edward’s lifestyle and weight. The interesting thing is that the doctors didnt know what it was. Didn’t Collins say something along the lines of that if it had been a stroke or a heart attack there would have been indications on his body and as his body was displayed after his death it would have been noted but no one commented. Collins said that there were no marks of violence on his body, wasting or infectious disease such as smallpox, plague etc. He didn’t mention that a heart attack would leave indications though as far as I can see. I recall reading somewhere that medieval doctors sometimes used arsenic in their medicines … so I’m not suprised that the doctors didn’t know what it was (no one would realize it if the medicine killed him). I thought it was sad that Annette Carson made specific accusations in her otherwise-well-argued book, since her description of the “motive” is (IMO) weak, and, making unsupported assertions opens all conclusions up for attack (as we do with More and Vergil). There were a lot of diseases 15th century doctors didn’t know anything about, including diabetes, appendicitis, hemophilia, etc, etc. He could have been poisoned, but it’s equally possible he had a simple bowel blockage, which might result in death if left untreated. Or appendicitis, treated with a purgative, which would be exactly the wrong thing to do, but they didn’t know any better. A few thoughts…although 40 year olds sometimes on rare occasions do have sudden heart attacks and die, often the face will go blue from lack of oxygen; no mention of this in his ‘laying out.’ I doubt a stroke from HBP, because again none of the symptoms were described as such. (Incidentally, I have known people with extreme HPH unresponsive to meds to live a normal life span without ever having a stroke.) I do remember one interesting point mentioned in one of the primary sources–that Edward would purge while eating at a banquet so that he could have another go. Purging has devastating effects all on the organs, not just digestive. Lose enough electrolytes and you can develop lethal heart arrythmias. So if this is true, and his death was heart related, it might well have been from this rather than from his obesity. 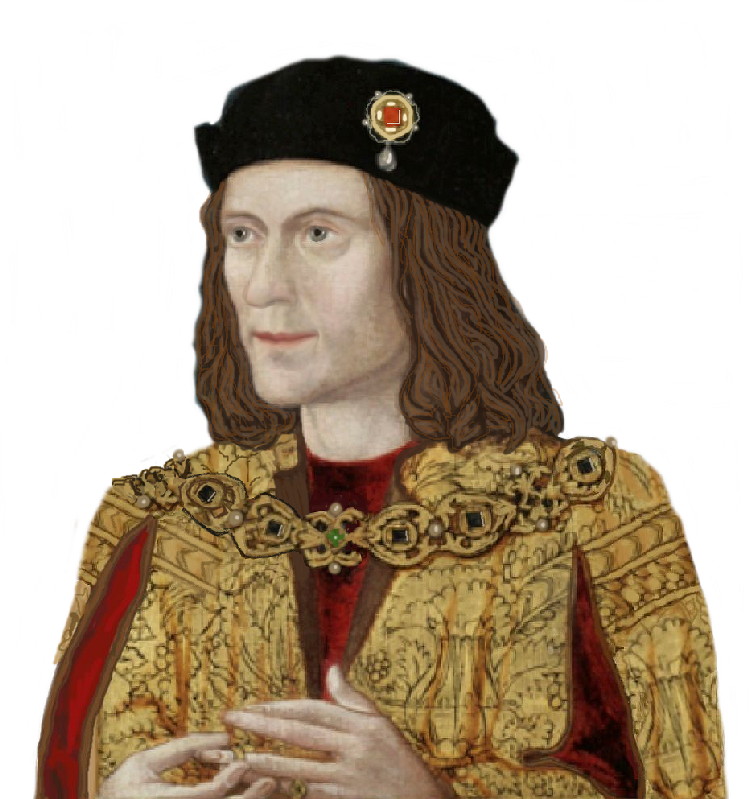 “This is not my brother [Edward IV] from remembering. nay, he is their ox; they ring him to trot him about. prepar’d with bacchanalian feasts, as lewd as Priapus.